Through December 31, 2013, American Express is offering US Platinum Cardmembers (both personal and business) complimentary Hilton HHonors Gold status. To take advantage of the offer you just have to call American Express customer service and give them your Hilton HHonors account number. Your status should be updated instantly, and will be valid through all of 2014. Hilton Gold is one of the most useful mid tier status levels, since it includes complimentary internet and breakfast/lounge access, which I consider to be the two most valuable elite hotel perks. There are cheaper options for getting Hilton Gold status than acquiring an American Express Platinum Card. For example, you can buy a Milepoint premium membership for $49.95, which comes with HHonors Gold status. Alternatively, for Gold status long term it’s tough to beat the Hilton Honors Ascend Card from American Express, which comes with Gold status for as long as you have the card, and has just a $95 annual fee (Rates & Fees). Fly Singapore Airlines First And Business Class With Miles! I thought that offer was for SPG Gold status, not Hilton. U.S. only or it also valid for foreign amex platinum? I called Amex just now. It took the rep a while, but he finally found the offer for Hilton Gold. Just called. Guy said he had never heard of that and i must be thinking of SPG GOLD. He said hold on and came back 2 minutes later and said it was indeed a new promotion and then asked for my Hilton number. He said it could take 7 days to see the GOLD status reflected. My status has not changed yet but i’m gussing it will in the next few days. I called Amex Platinum and they denied that this offer exists. Only eligible for SPG status. Damn, just purchased it from Milepoints. 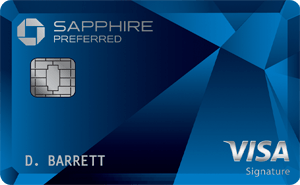 @ Judy Jones — Starwood Gold status is a permanent benefit of the American Express Platinum card. @ Judy Jones — Whoops, sorry, updated the post. It’s US only as far as I know. Just called and the rep seemed to know about this, but then he put me on hold for a second and came back and said I was all set, I’d get my card after 2 stays. I mentioned I was already a member and did I have my hhonors number on file with them already? He said he was confused because it was a brand new promotion, but then took down my number, said he would include it in the request (so it sounds like they have to send the account information over to Hilton manually) and said that my AmEx and hhonors accounts were now linked (whatever that means?) and I should be good to go. We’ll see if it shows up. Interesting, this used to be a benefit of the UK Amex Plat card then they removed it. I wonder if it’s back now? If you’re about to receive HH Gold Status through your MilePoint Membership valid through Dec 31, 2013 and you’re an Amex Platinum Cardholder, can your status also reflect that you have the Amex Card so that if HH Honors decides to continue offering the Gold Status throughout 2015, you will be included as well? @ Christo — If the promotion continues you can always call and have your status updated at any point if you’re a Platinum cardmember. So Amex is already married to SPG, and now they’re getting a little something on the side with Hilton? That is definitely interesting. I waited until this afternoon to call. It seems that the reps have now been informed. My rep told me this is a new benefit, not a promotion, and the whole conversation took less than 2 minutes. She verified my name, I gave her my Hilton HHonors #, and we were done. This sounds great. I have gold status from the visa infinite deal through feb 2014. does anyone know if this will extend it till 2015? @ Scott — Yes, I believe this should extend is through 2015. What would you recommend to Citi Reserve CC holders? Thinking of canceling the one I applied to back in April of this year. Already got my 2 certs and was shooting for a new one. Should I get the new cert of cancel this card all together? Most of my spending is MS. I read that the new Amex Hilton Gold status is a new benefit, not a limited time offer. PS I guess Hilton execs were upset UA devalued their mileage awards and was getting tons of press. After all they want to be THE number #1 program in customer dissatisfaction ! Thanks Ben. Honestly I have little use for that card. I guess some of us will think it over since we were already charged for the fee in advance. And very true, Hilton will probably start serving continental breakfasts to Gold status members. I have an Amex Delta Skymile Premier Business Card. I am a Hilton Diamond this year but have not stayed at Hilton this year (because I gave up hilton). In this case, if I called, I will get Gold Status for the next year of 2014, am I right? My counsin has a Amex Gold Business rewards card only. Is she eligible? @ Andy — This offer is for those with the American Express Platinum Card only. Other cards don’t qualify unfortunately. Oops, my mistake. I think it is only for that particular card with $450 annual fee, am I right? Is there an offer to waive first year annual fee? If so, I’d like to apply for one. Thanks! @ Andy — That’s correct, and unfortunately there’s not an offer waiving the first year’s annual fee. Keep in mind that the Platinum card comes with a $200 airline fee credit, which can often be used to purchase gift cards. That credit is based on the calendar year, which means for the first year’s $450 annual fee you can get two sets of $200 airline fee credits, which essentially brings the annual fee down to $50. Has anyone who signed up for this yesterday seen their status changed to GOLD? I called early yesterday and still show as a silver. I have hilton gold status through March 2015 from the citi Hilton reserve. If I cancel my card in December 2013, any chance that gold status will stay on my hilton account until 2015….or does Citi inform hilton ive canceled the cc and Hilton will take it away? Just curious if anyone has experience with this working. Q1: Why there are two sets, each for $200? Great post! I called, gave him my number and name listed with HHonors. Agent read me some disclaimer, and it was done! I made the call to Amex on November 6 and the Gold status was established today. I was just upgraded on Tuesday November 19. You guys are very lucky at the US. In the netherlands one pays more that 700USD for Amex platinum and gets no hhonors or spg status. Only the basic things that means nothing. Amazing. Does any of you know if a none US resident can issue Amex platinum in the USA? @ DaveNL — No way unless you have a US social security number unfortunately.